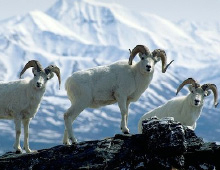 Denali National Park should be at the top of every adventurer’s bucket list. 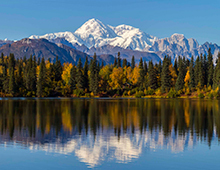 This astounding destination extends over six million acres of preserved wilderness and is home to majestic Mount McKinley (now officially known as Mt. Denali or ‘the Great One’ in the Denaina Athabascan language), the highest peak in North America. 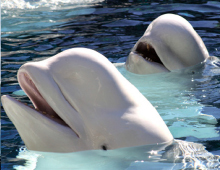 The pristine wilderness of Alaska is, perhaps, the last bastion of thriving populations of North American wildlife. With breathtaking scenery, unique wildlife sightings and an opportunity to immerse yourself in the pure, untamed wilderness of Alaska, we invite you to join the women of Olivia on a journey to Denali National Park! This trip does require a level of mobility, as the tours do have walking over uneven surfaces such as dirt paths/roads, tundra, etc. If you travel with a portable, collapsible, motorized, or manual scooter or wheelchair, you will need to lift them into the bay of the coach or where necessary to continue with the group. If you do have limited mobility, you are required to travel with someone who can assist you. Our Travel Consultants can be reached at USA or CANADA: (800) 631-6277 or INTERNATIONAL: (415) 962-5700, option 1. Reserve early as our packages are very popular and this is a popular time at this destination. Any unused space will be released early!